Writing soft songs with an emphasis on space, the band's sound is the perfect foundation for lead singer Margo Timmins' ethereal vocals. Her lilting melodies lull the listener into a bittersweet sense of detachment while their downbeat but driving rhythms have a hypnotic, navel-gazing effect. Their exploration of light and shade makes for a mellow evening of chilled-out tunes and slow tempos. Sound good to you? 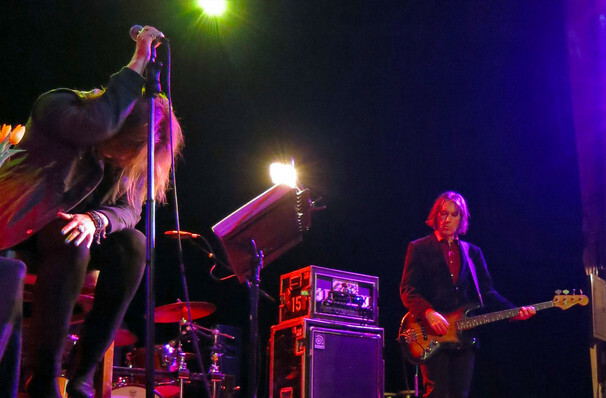 Share this page on social media and let your friends know about Cowboy Junkies at The Lobero. Please note: The term The Lobero and/or Cowboy Junkies as well as all associated graphics, logos, and/or other trademarks, tradenames or copyrights are the property of the The Lobero and/or Cowboy Junkies and are used herein for factual descriptive purposes only. 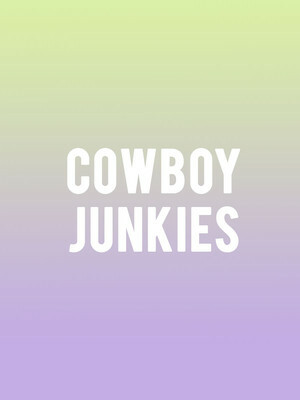 We are in no way associated with or authorized by the The Lobero and/or Cowboy Junkies and neither that entity nor any of its affiliates have licensed or endorsed us to sell tickets, goods and or services in conjunction with their events.